The Seasons opening Tournament started with a fine turnout of players. 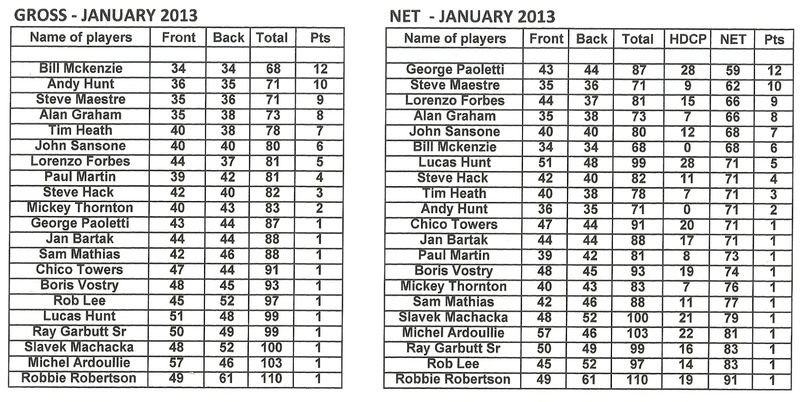 The Xmas and New Year excesses did not stop our players from turning in some excellent scores, most notably, George Paoletti, who won his first tournament with an outstanding net 59. 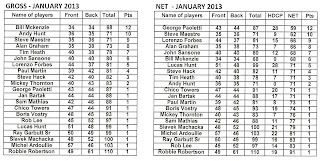 Thanks to Robert Lee, Lloyd Gillett, Bill Mckenzie, Steve Maestre, Chico Towers, Tim Heath and Robbie Robertson for prize donations. Our next Tournament is Saturday, 2nd February and after this it is the Belize Jungle Dome Scramble on Feb 23rd. Also the BAGA Match Play will be closed for entry after Feb 23rd. It will be a double elimination Tournament and entry is $30.00. Closest Pin #7 and #16 : Mickey Thornton. Any 2 : Bill Mckenzie (x2), Alan Graham, Steve Maestre. Long Putts :Alan Graham (x2), Lucas Hunt, Chico Towers.